My mentor for the last 15 years, Liz Harrington, is retiring this year. She’s the one who, as our department chairperson, advocated for our weekly collaboration time and fought each semester to maintain our precious planning time as a department. Liz is the one I laugh with each Friday when we close our rooms at lunch and steal away for some caffeine. She’s the one who keeps my venting from becoming perpetual smog, and the one who swoops in with a last-minute lesson plan if I have to run and pick up my own sick kid. Liz is the first person I call to share my small victories and my embarrassing defeats. Every teacher needs a Liz, and many have been lucky enough to have one. Mentorship, you see, is vital in our industry. Mentors aren’t just friends—they are more than that. They are amazing practitioners who pass on their knowledge through informal conversation and everyday modeling. They push back and disagree with you. They help you develop your educational voice. They help hone your academic blade. At the beginning of our teaching careers, we are assigned mentors, perhaps through a formal induction program meant to help support our practice. (New teachers definitely need this scaffold!) Many of the current induction programs pair a new teacher with a veteran, and that experienced teacher advises on a regular basis for the first year or two of a teacher’s probationary period. But there are criticisms of such induction programs, including that the specific guidelines are overly controlling and involve way too much paperwork, and that the mentor is an assigned relationship, not one in which choice was given. This last point is what makes finding a Liz so valuable. An assigned mentor is one thing, but finding that person on your own who can challenge you, advise you, and celebrate you helps you embrace being reflective and encourages you to take risks. I’ll also throw this out there: Newer teachers can be mentors, too. 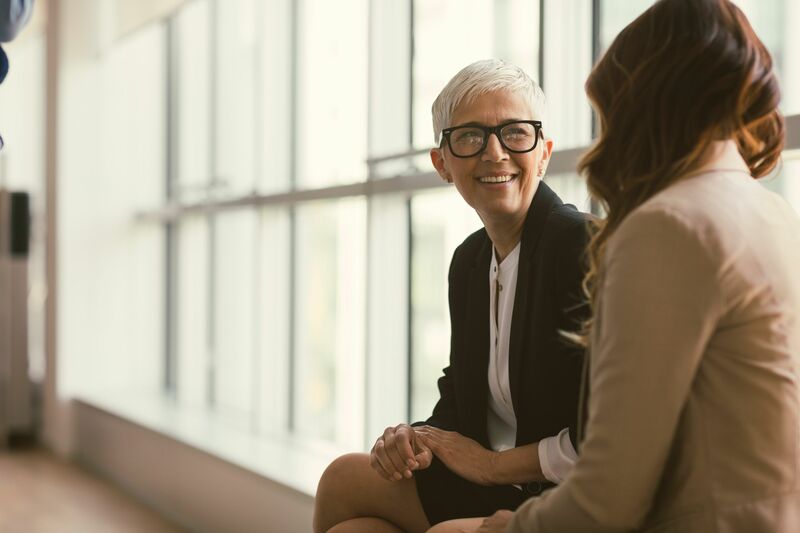 Mentorship doesn’t have to be based on seniority over another—it can also be about those who can help us rise in our practice and in our spirit. It isn’t all about content area and pedagogical expertise; it’s also about attitude and leadership. The young teacher that I was assigned to mentor through our induction program in California could have just as easily been my mentor the moment she set foot on our campus. She was talented, yes, but she was also a born learner who celebrated others’ successes, lit up at the thought of being challenged, and was honest with all those around her. I learned a lot from her. So I would make the argument that we should always seek out these special relationships, regardless of what line on the seniority list we fall. I would also suggest that you open your door to becoming a mentor. Raise your hand when formally asked to mentor others. Maybe it’s through an induction program or taking on a student teacher. Trust that you have something to give. Which brings me back to Liz. The way we pass on the wisdom of our own mentors, ensuring that their ideas and positivity are immortal on a school site, is through being available ourselves. After Liz retires, her classroom will be filled by a new teacher or a transferred teacher who might just need to know it’s fine to close your door and grab a few laughs on a Friday at lunch. Liz, may you enjoy your time with your children and grandchildren. You are already so missed. Forever Jefferson Bulldogs.